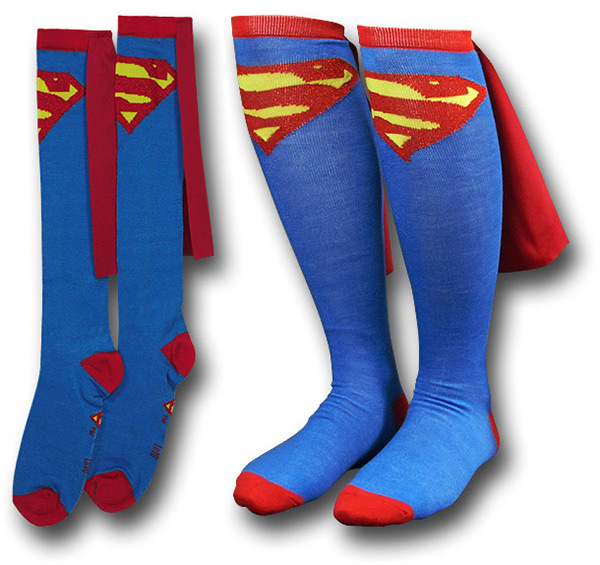 Because of all the interest in these Superman socks with cape, we decided to do a round-up of similar products. 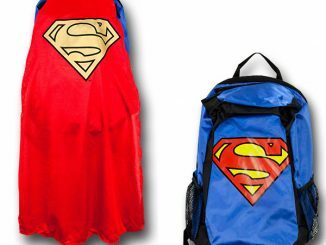 There are a lot of other cool Superman products with capes, including drinking glasses, backpacks, and costume t-shirts. 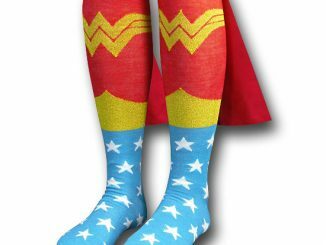 Best of all, unlike the socks, many of these are in stock and ready to ship to you before Christmas, provided you order soon. 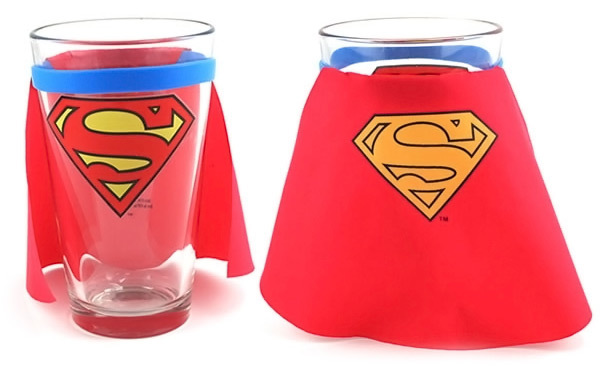 The newest product in the lineup is the Superman Pint Glass with Cape. 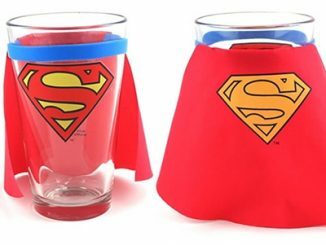 Great for drinking beer or other cold beverages, this 16 ounce glass is also available in a Batman version. 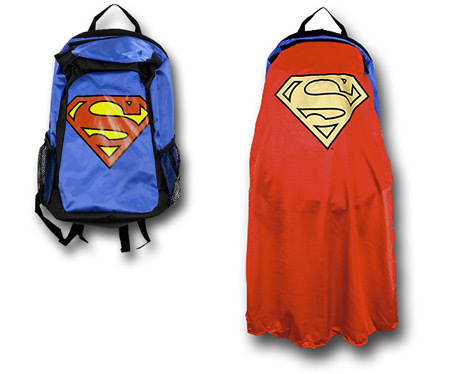 Another hot item is the Superman Cape Backpack. 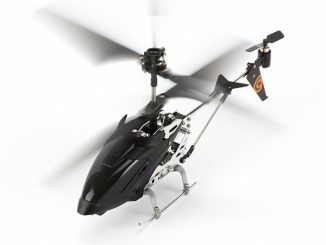 Like all the other products in this roundup, this is also available in a Batman version. 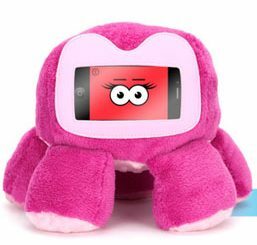 According to the description, these backpacks are intended for kids. 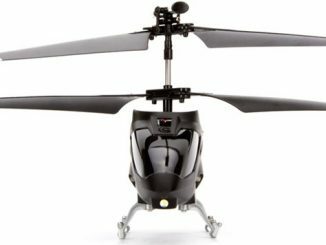 However, I’m sure there is no law against an adult using one of these…although the other passengers on the subway may look at you strangely. 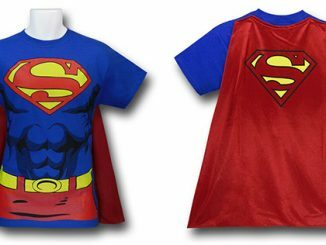 Coming out about a month before Halloween, the Mens Superman Cape T-Shirt Costume was an inexpensive, easy, and comfortable costume choice that looked a lot better than other low-rent options. 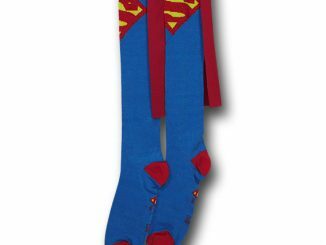 It also came in Batman and Robin versions. 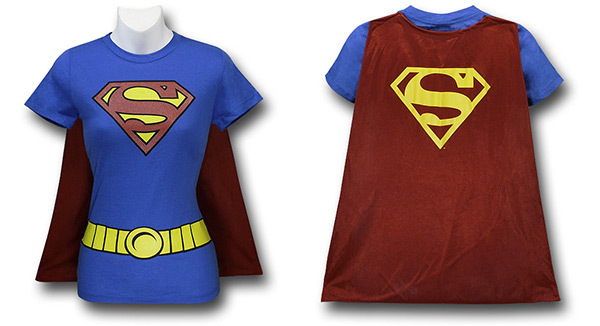 Men don’t get all the fun, as there are also Womens Supergirl Cape T-Shirt Costumes. 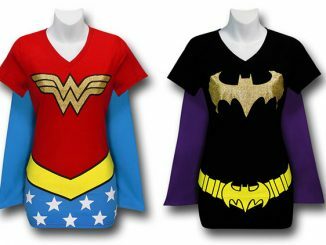 Other women’s costume t-shirt with cape options included Wonder Woman, Batgirl, and Robin. It really makes sense to me that Robin be a girl anyway. 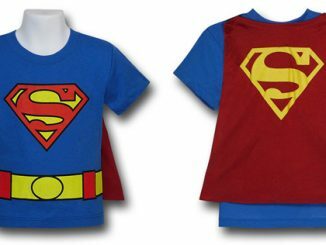 Finally there is also the Kids Superman Cape T-Shirt Costume. 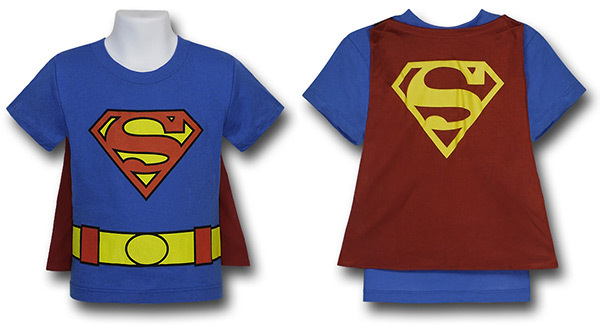 Girls and boys have other character choices including Batman, Robin, and Wonder Woman. 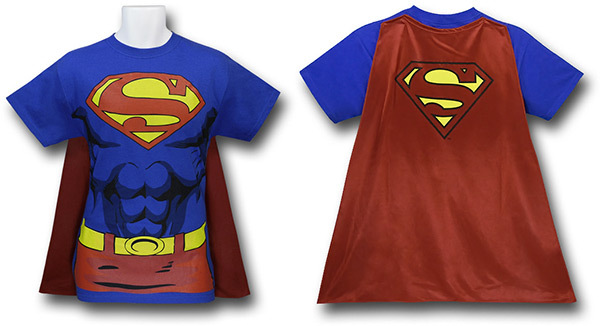 Given the popularity of these items, more Superman merchandise with capes is probably on the way. 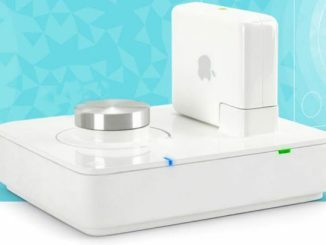 Comment below with your ideas on what products should be next.